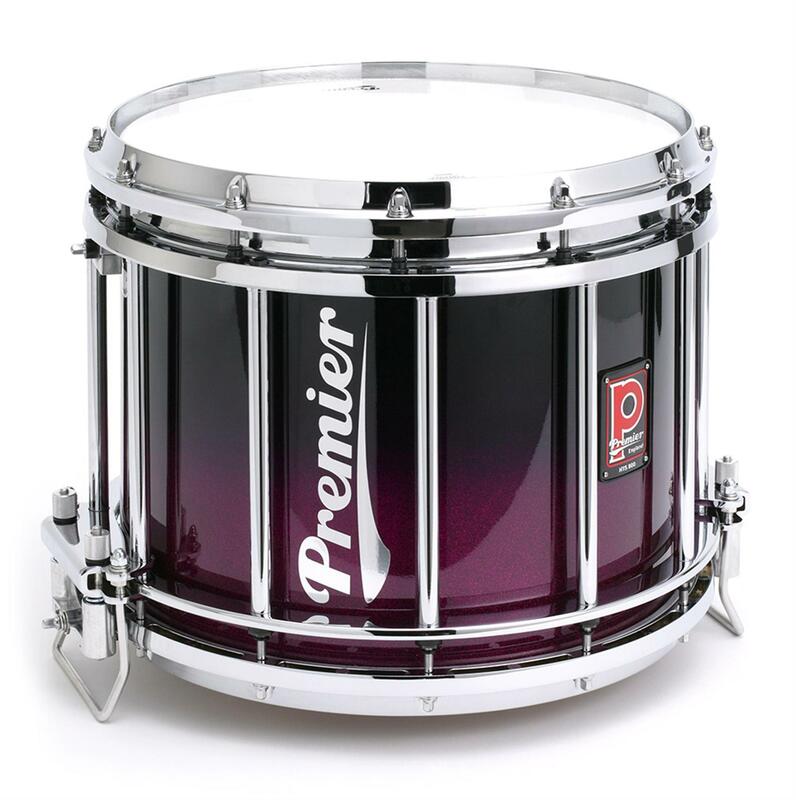 So, let’s continue on from the previous post on tuning your pipe band snare drum (Premier, Pearl or Andante). We have already talked about dismantling the drum as soon as you buy it and preparing the top head and hoop for playing. The next thing we need to look at, is the bottom head and mechanism. Loosen the bolt, using your drum key. Gently wiggle the snare wire so it comes free. 1. Remove the bottom snare wire, carefully. Use your key (or tool) to remove the snare, just loosening it off enough to wiggle it free. 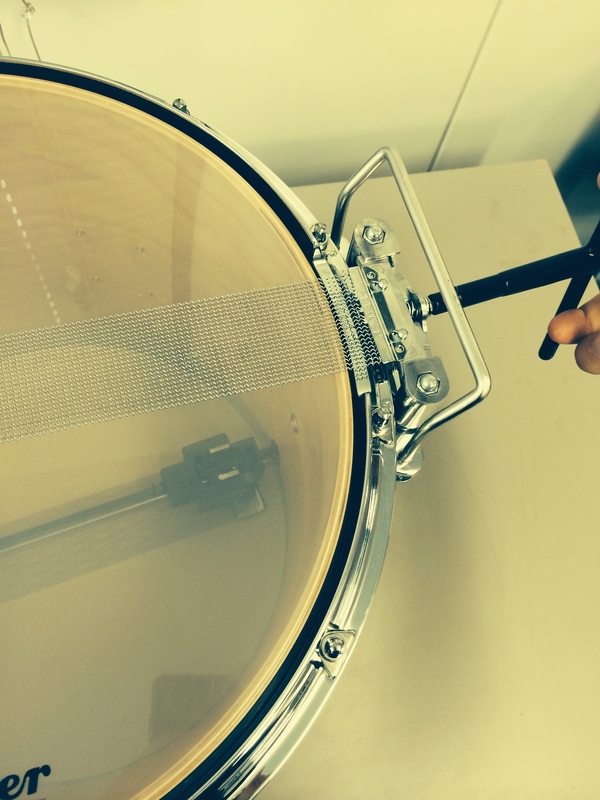 Then remove your bottom snare head exactly the same way as the top head, by loosening the tension bolts. Remove the bottom hoop followed by the head. 2. Take a cloth and wipe any residue or dust from the bottom bearing edge. Remove any other debris in the shell or cavity. Take the vaseline and place a generous amount around the bottom bearing edge of the shell. 3. Lubricate all of the bolt holes with vaseline. You will be thankful you’ve done this months down the line. Place the head on the bearing edge, and set the bottom hoop on. 4. Screw the hoop down evenly as per the top head. Turn the bolts to screw the head down. 5. Introduce the Drum Dial. This is another little gem in the process of drum tuning. 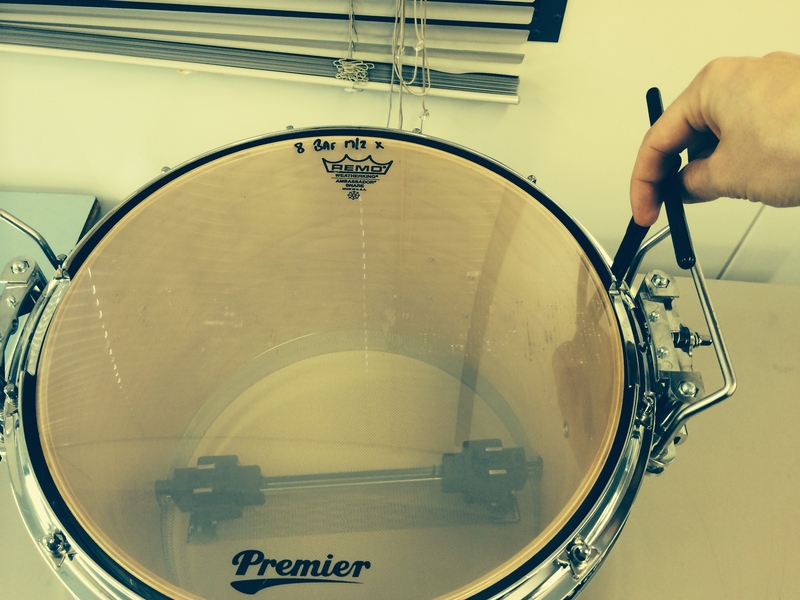 Most drummers use it for tuning bass and tenor drums, but there is huge value in using it for your bottom head. It helps you ensure you maintain an even bottom head tension. This will also help ensure you have your whole corps of drums set up as close to each other in tension (and hopefully pitch) as possible. 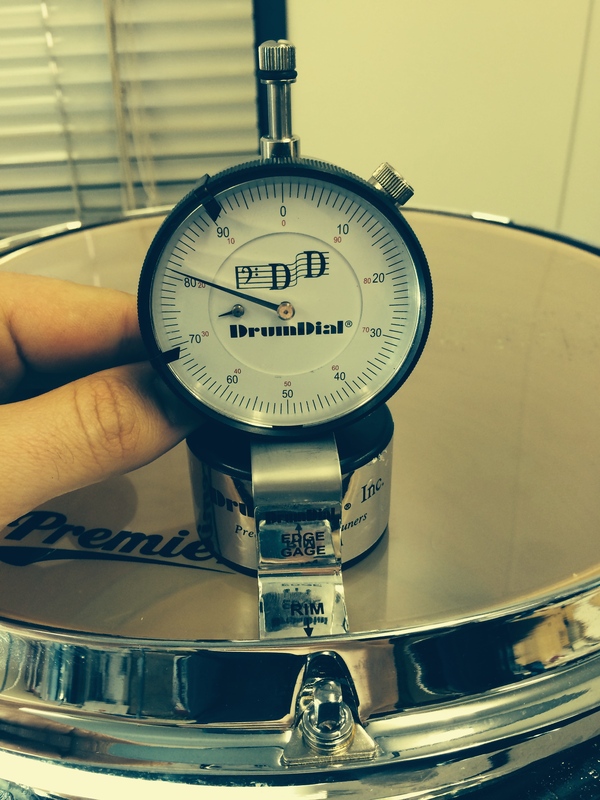 The drum dial indicates a reading when you set it on the head. 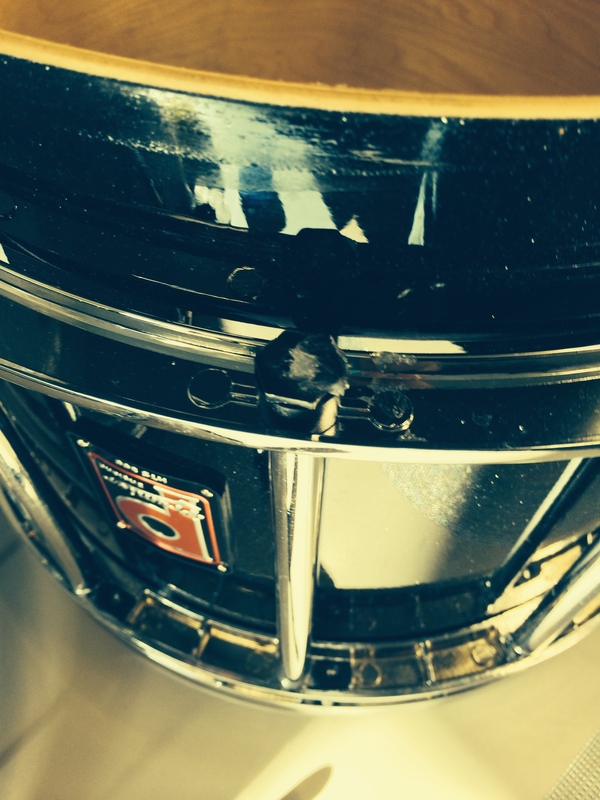 You want to ensure you set the dial in the correct position on the head – in line with a tension bolt. Also, you will notice reduced readings where the snare sits – this is due to a groove in the shell (this is the case for most drums). As for a number – well this depends on your desired tension. 6. Take the head down until the point where the shell is sitting above the hoop. This will give you a great starting point. Also, you will notice the head creaking and making noises as you tighten it. Listen to those noises. Don’t push it too hard, too quick. Take your time if it isn’t liking the tension you’re applying, and consider stopping for a day! Ensure you take the head past the point of the bearing edge. 7. 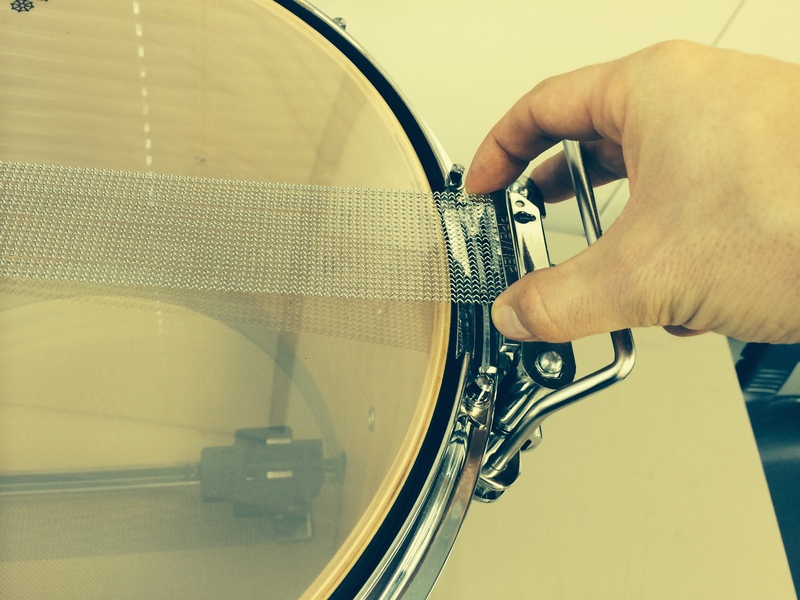 Set the snare back on (the correct way up, and YES, I have made this mistake!!) and tighten it until it sits snug. 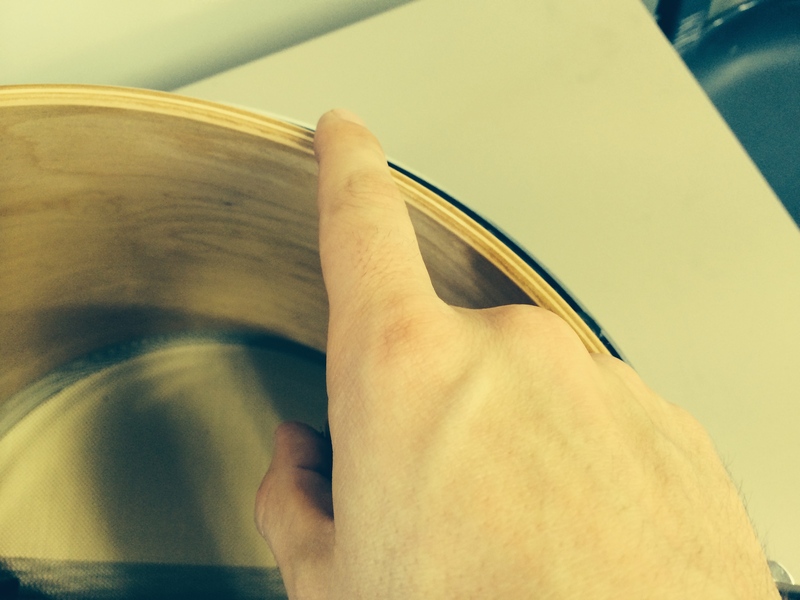 There you have it – the bottom head of your pipe band drum is now ready to go. 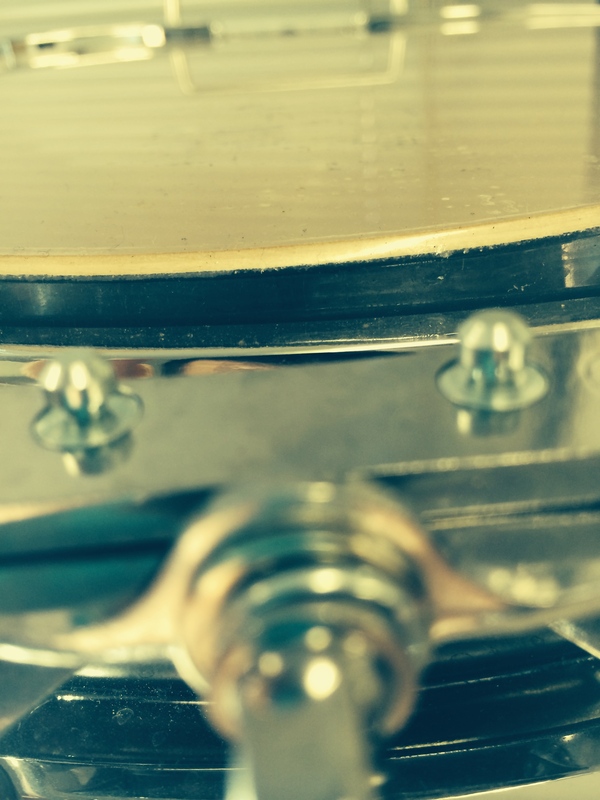 In the next instalments we will look at setting the snares, ongoing tuning, what to listen for and trouble-shooting. If you are keen to learn from James, check out his Guide to Pipe Band Drumming Books.